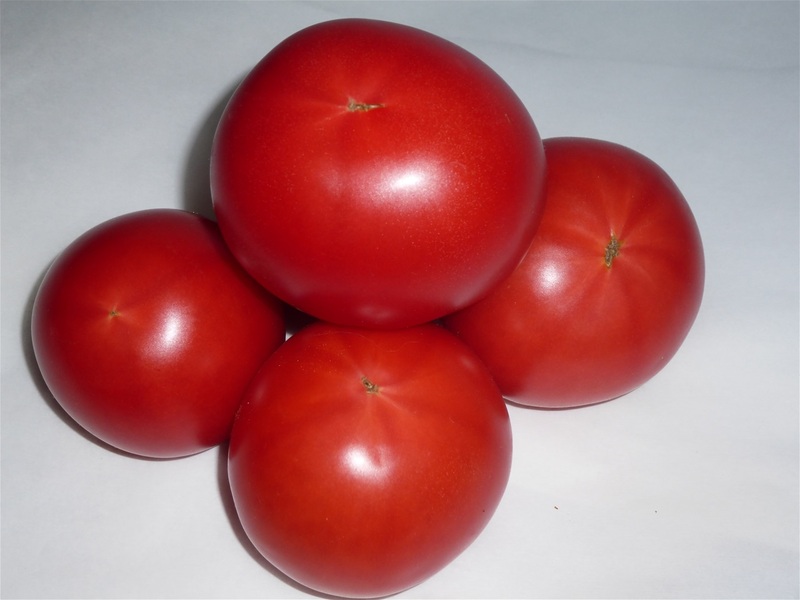 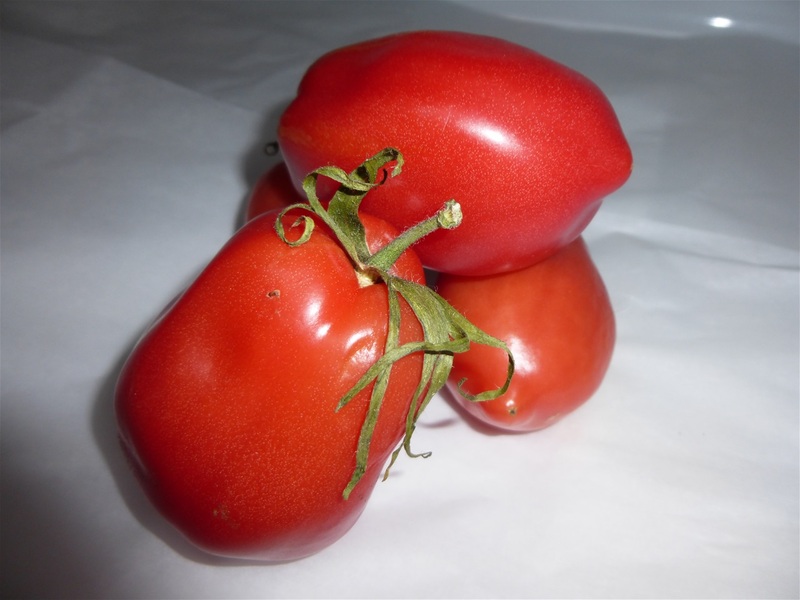 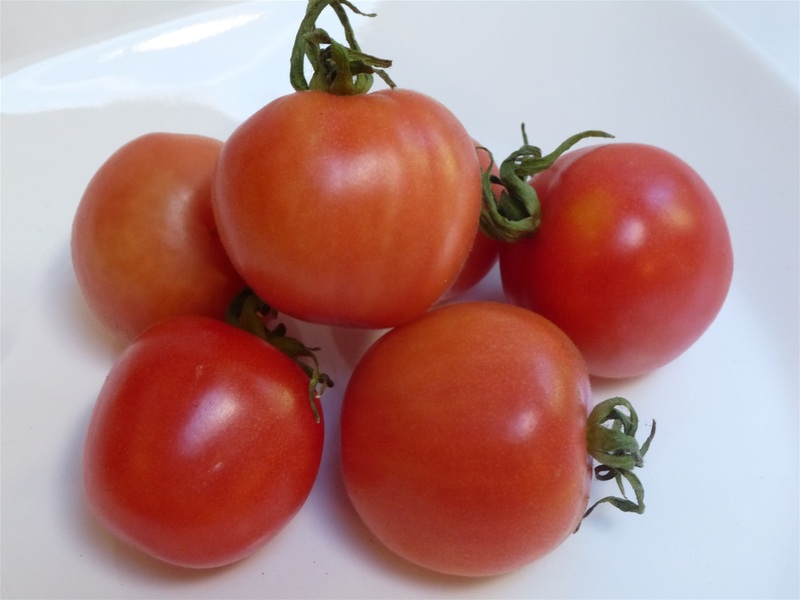 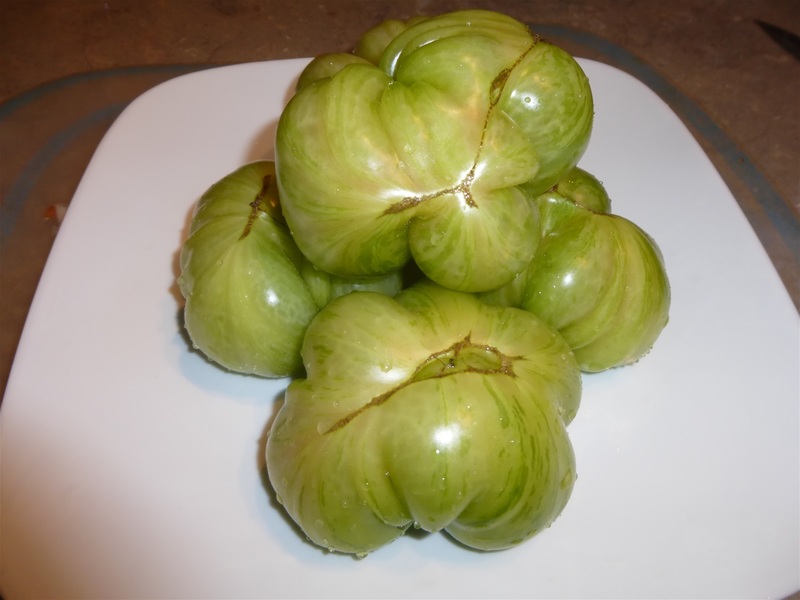 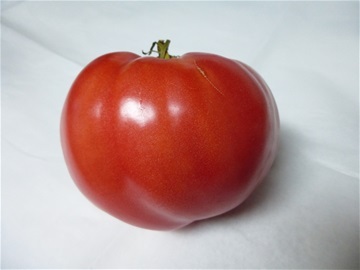 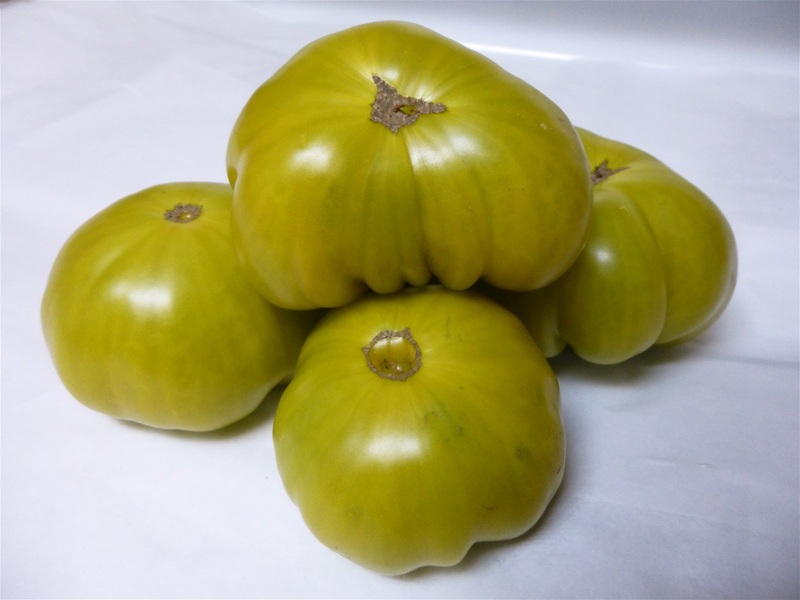 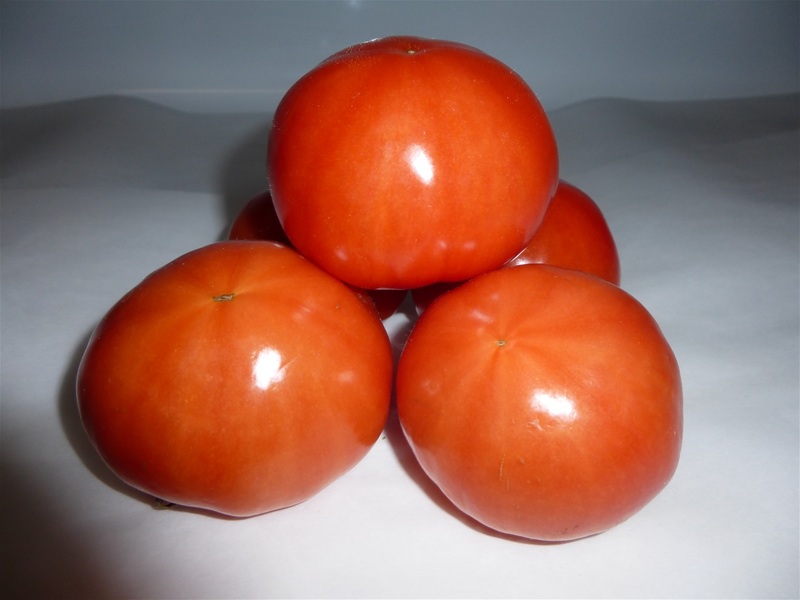 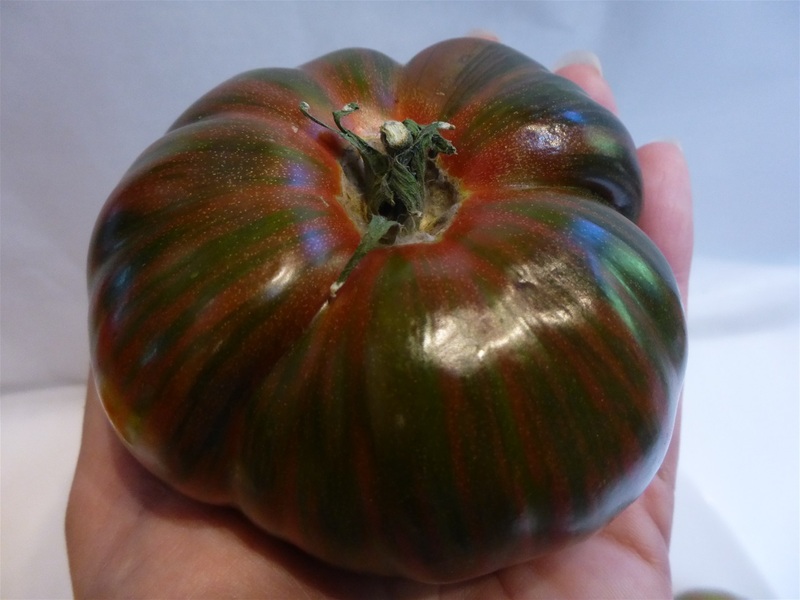 Scroll down for: Our Catalogue of "Heirloom Tomatoes". 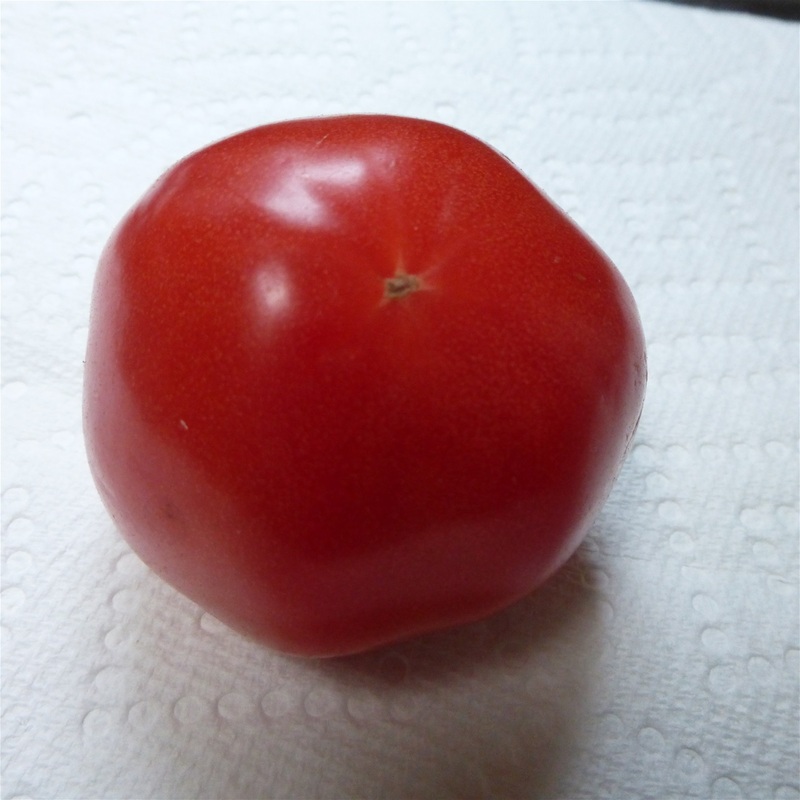 A "mystery" Heirloom, yet to be determined among our heirlooms. 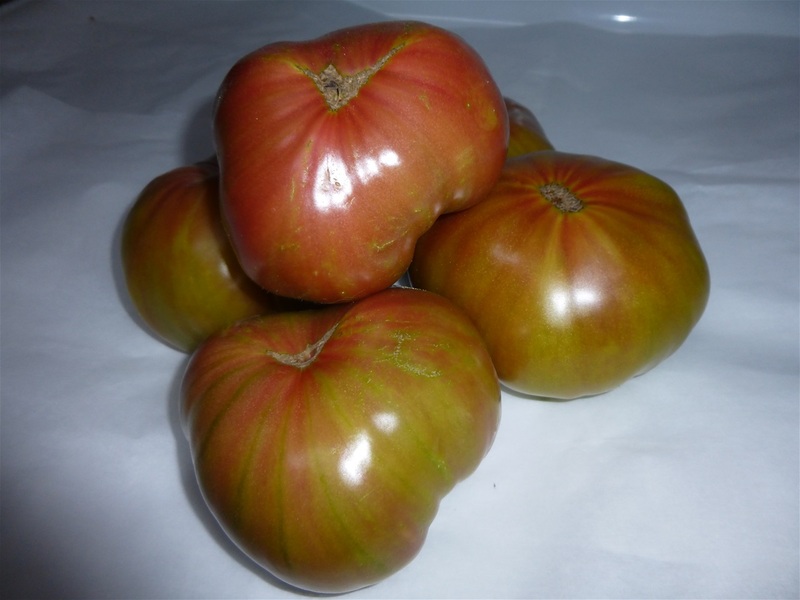 Possibly the "Rutger's" as a group picture... a US (New Jersey) 1934 lineage cross-pollinated Heirloom Tomato. 1934 Rutgers (New Jersey, US...Heirloom Cross Pollinated). Another variation picture of the Shkatulka (Russia). 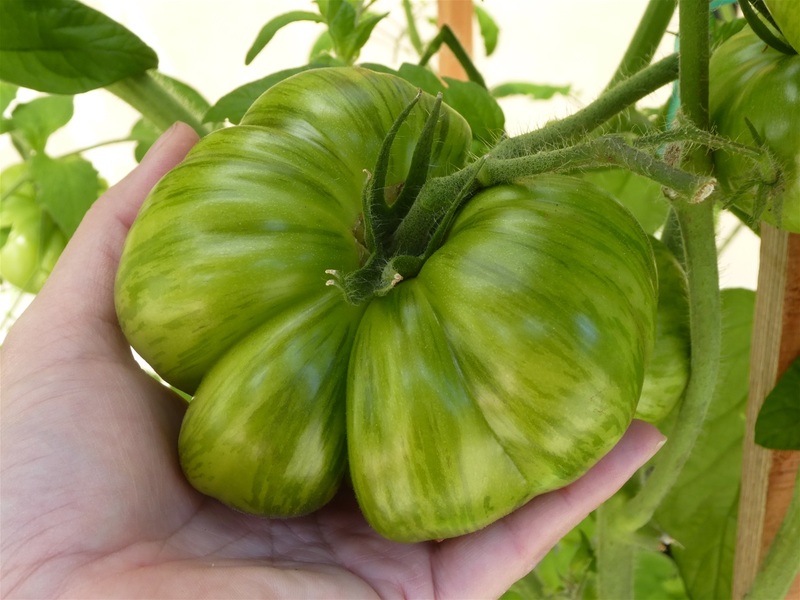 Chocolate Stripe Tomato at the last green stage before t ripening. 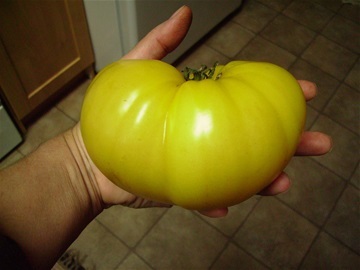 This is the "Big White" Heirloom Tomato. 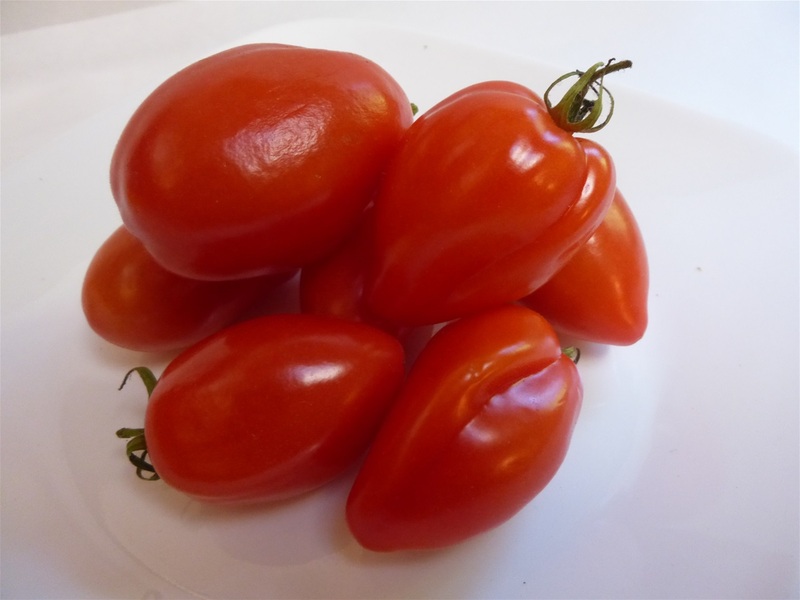 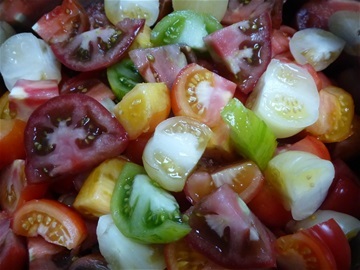 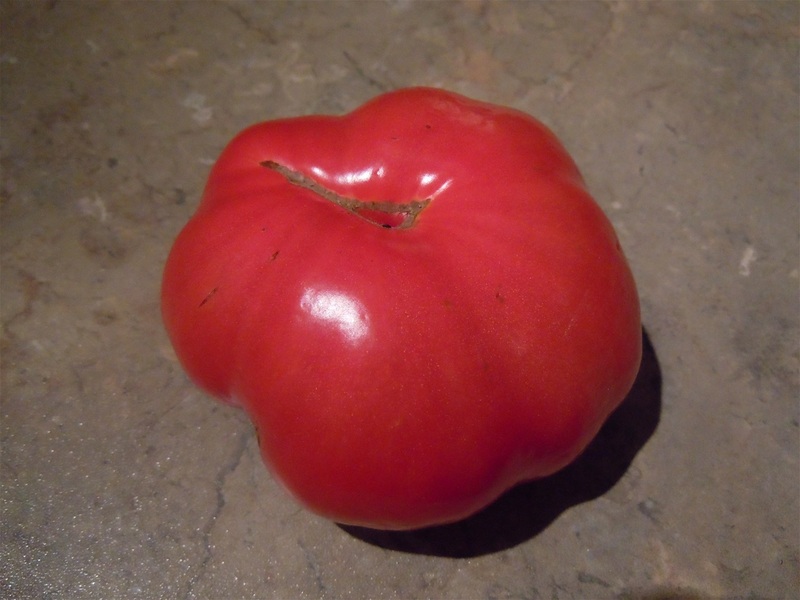 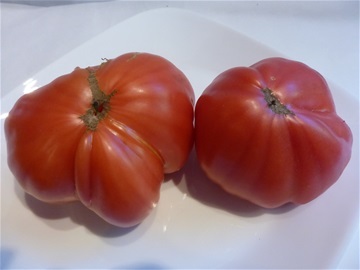 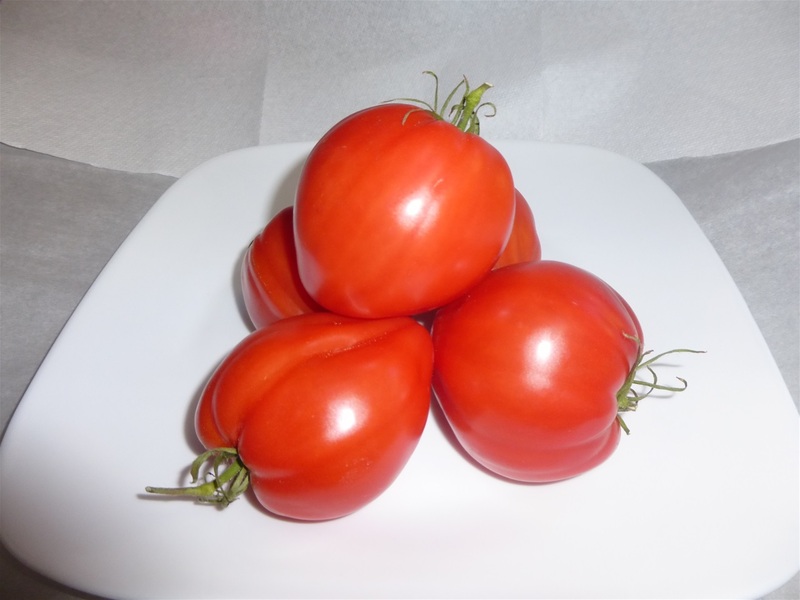 Portuguese "Braga" Beefsteak Heirloom Tomato from the Braga Region in Portugal. Another one without it's variety name. 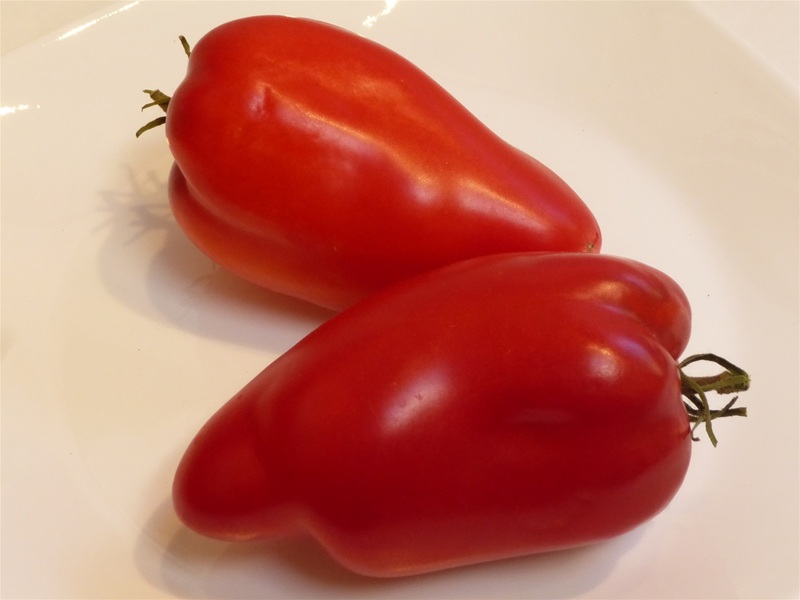 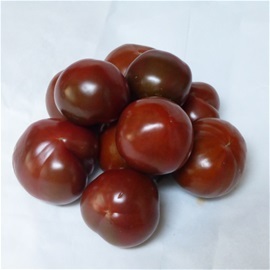 San Marzano Italian Plum... a HUGE plum tomato. 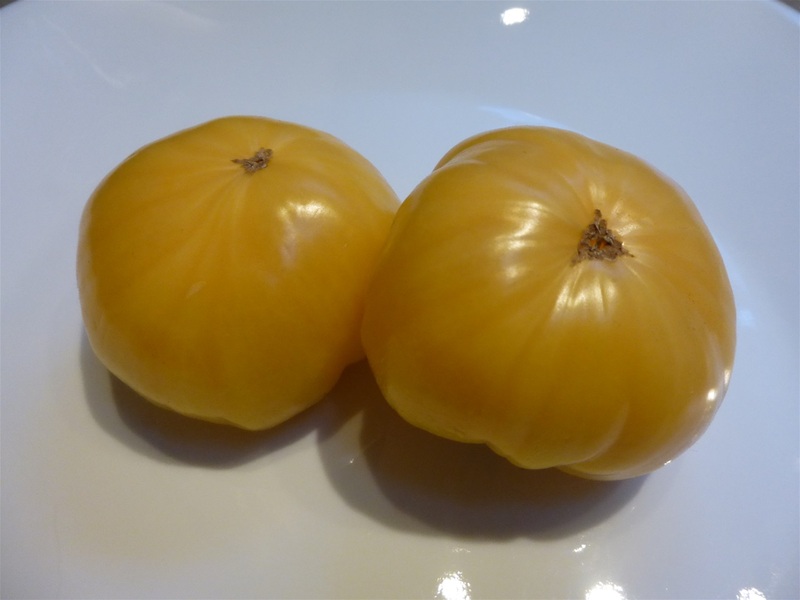 Good for sauces. 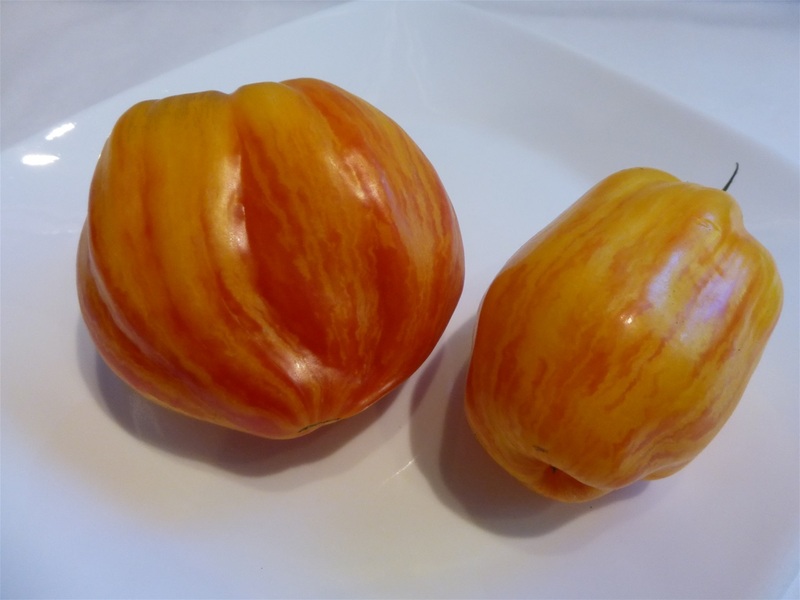 Most plums are bland in taste and this one is no exception. Very meaty, no wonder it is a pasta sauce favorite tomato to use. 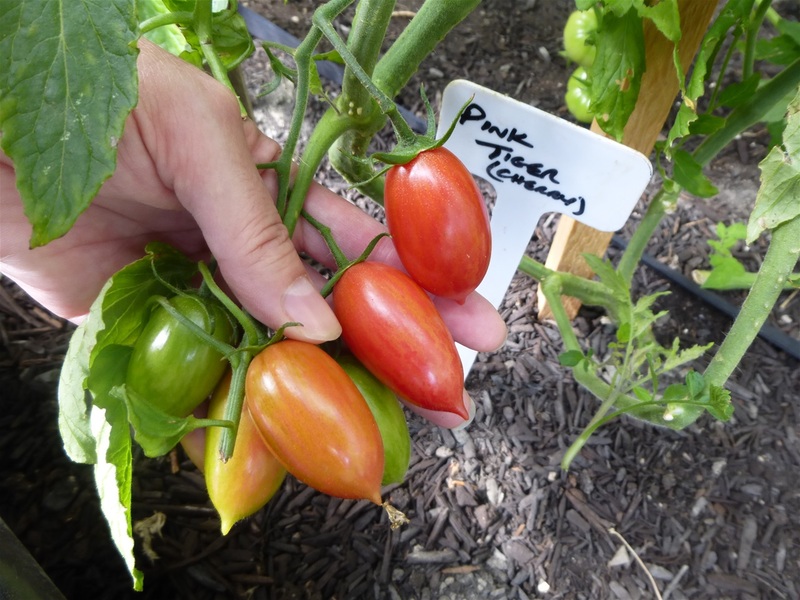 Outside grown "Zebra Rita"... this one has splotches of very light Pink color and the Green is very light as well compared to the greenhouse plant that produced a very vibrant green. 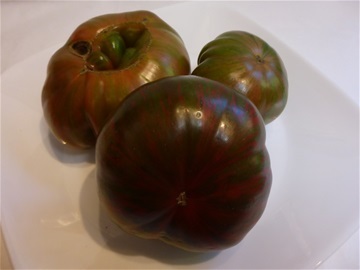 Chocolate Stripes at various stages. German, "Blondkopfchen" Yellow small Cherry. 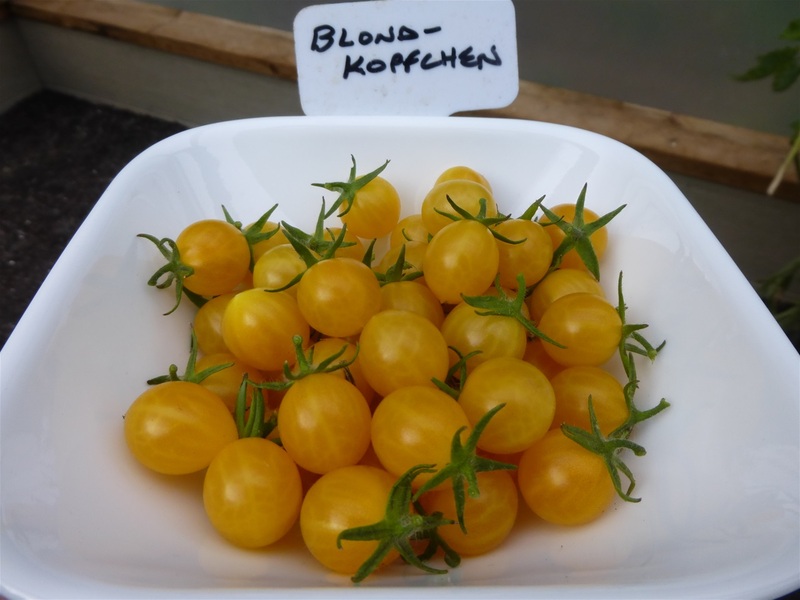 Excellent in taste and an amazing yielder... the last to be harvested in our greenhouses... it is a late ripener. 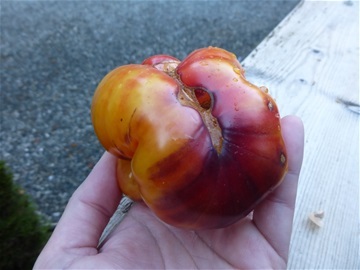 "Speckled Peach" 1-1 and a half inch Cherry. Showing another "Lucid Gem" as this tomato at a few color variations and wanted to show them to you. 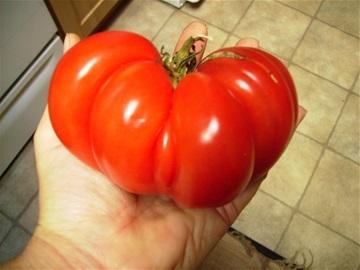 This unique slicer tomato has a smokey flavor to it. 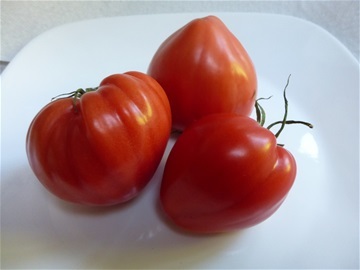 Portuguese "Alva" OxHeart, from the "Alva" region in Portugal. This is a naturally cross-pollinated Heirloom Tomato this year on our farm. 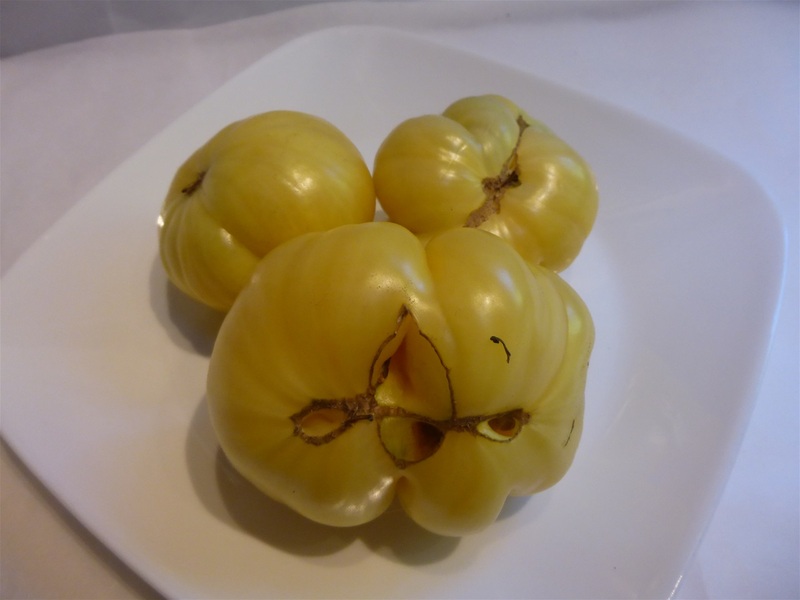 It is a "White Beauty" Beafsteak that cross pollinated with the promiscuous "Azoychka" Russian small slicer. 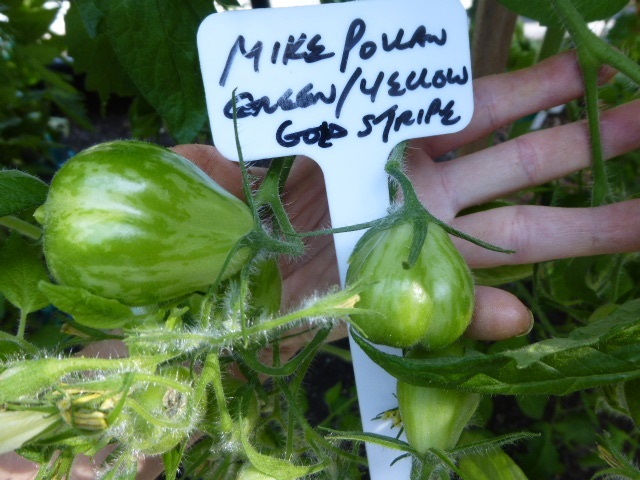 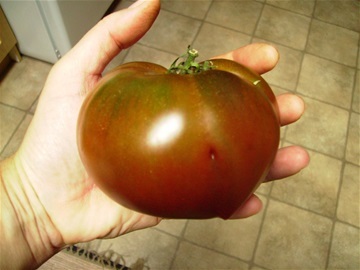 Showing the stem side of the "Chocolate Stripe" of how striking this tomato is in color... dark green and a bright red. 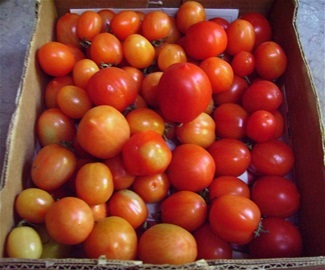 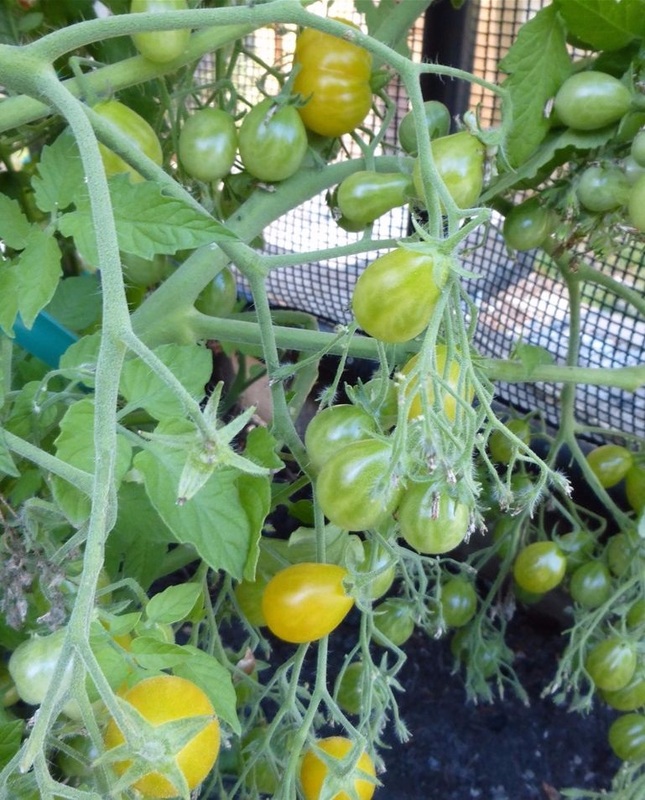 Showing another variation of the "Yellow Fire" Plum Tomato. 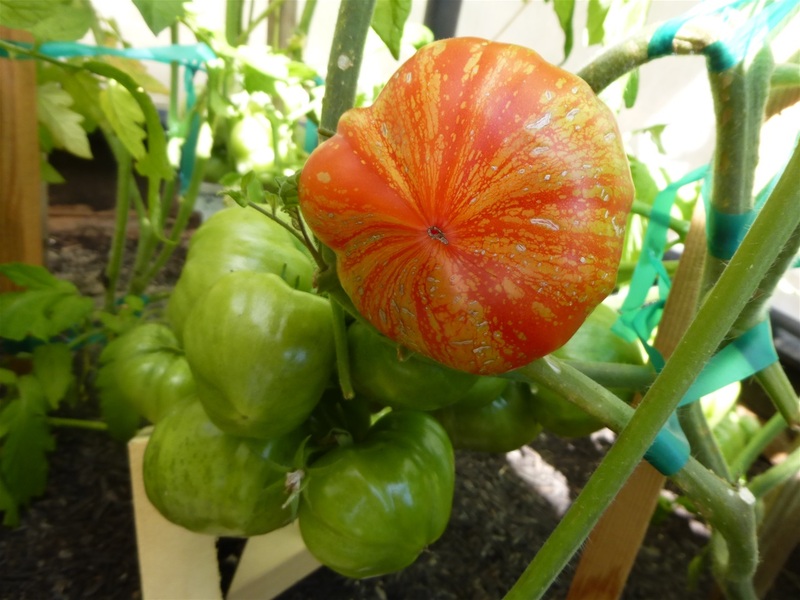 German "Feuerwerk" Beefsteak growing on plant. These pictures are taken at the optimal ripeness of our tomatoes... almost all are indeterminate varieties. It has taken us about 3 years to establish these heirlooms in our soil to produce a stronger seed lineage.